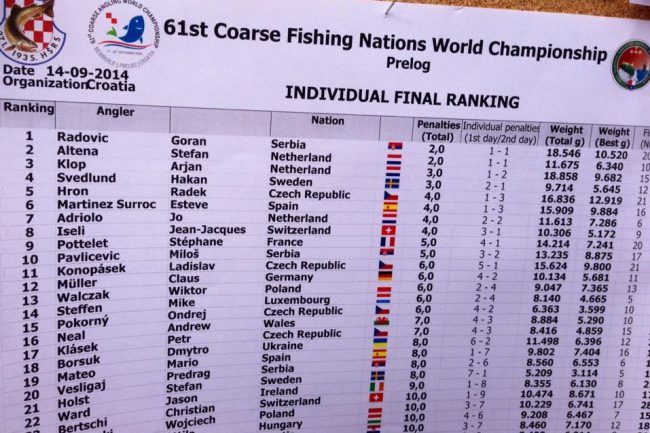 The Netherlands have been crowned World Champions after two days fishing on a Croatian channel. The competition was badly effected by recent heavy rain and water level rose 2.5 metres in just a few days. Finishing on a two-day total of 38 points, the Netherlands took the title by a six-point margin from Czech Republic who finished on 44 while Serbia finished third with 45 points. 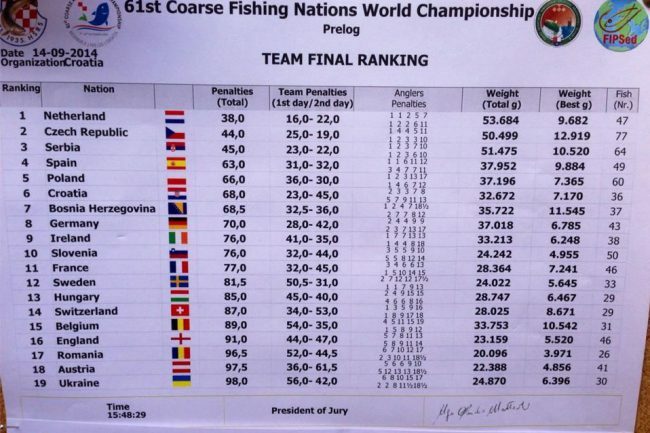 For Drennan Team England it was a disappointing weekend, as they fin­ished in 16th spot out of the 37 nations. The teams best scorer was Callum Dicks, who was making his debut in England’s World Championship squad, while Alan Scotthorne was second best. Well done to the Netherlands, Czech Republic and Serbia. 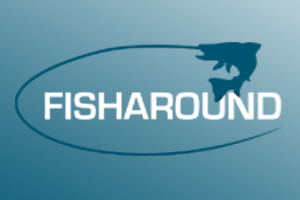 Next year, it is Slovenia’s turn to host this prestigious event.